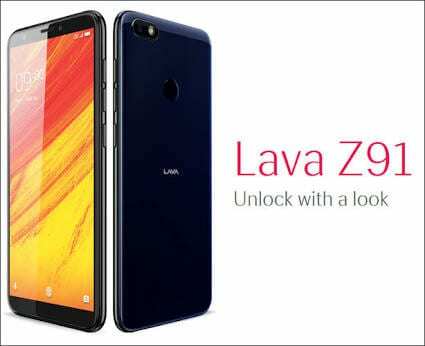 Lava Z91 has been launched in India as the latest smartphone from the company with Face Identification Technology (Face ID). Lots of affordable smartphones now comes with the trending feature, which might be the death of the fingerprint scanner. 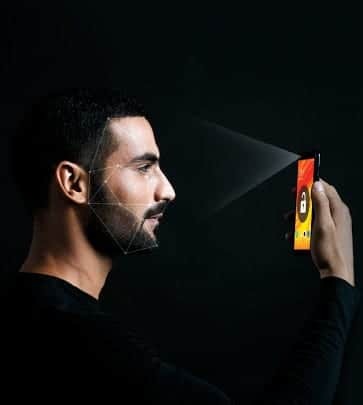 Just like we saw on the latest Camon X from Tecno, the face identification technology is here to stay. Apart from the feature, the Z91 boasts of 32GB storage and 3GB RAM, offering great value for money. Want to know more? Stay with me. 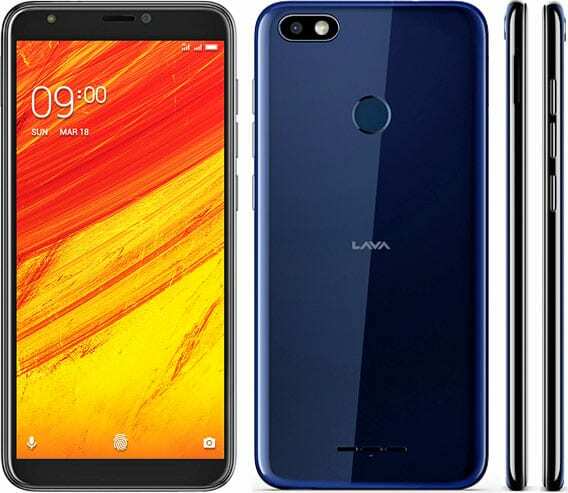 What is Lava Z91 Price and Availability Status? The device sports a Metal overall unibody that’s non-removable. Definitely the best looking Lava smartphone thus far. I like the fact they still integrated the rear fingerprint scanner just incase, or for those who don’t like the Face ID. The rear camera and LED flash are in the popular position, horizontal at the top left corner. There’s also a rear loudspeaker at the bottom corner as well, the sleek and classy device measures 7.7mm in thickness. Overall, it weighs 147g and available in only Blue colors. 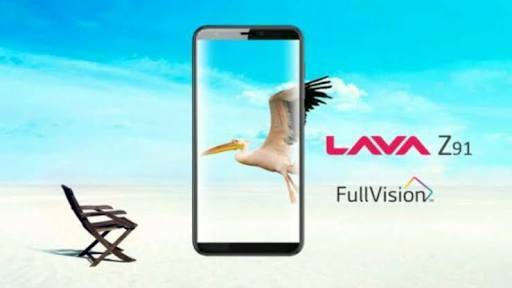 Dishes out a full view display with an 18:9 aspect ratio screen, which flows with the current trend among OEMs. From where the selfie camera, LED flash and speaker grille is, we can tell the screen could be expanded further if they’d really wanted to. The 5.7-inch IPS LCD capacitive touchscreen has a resolution of 720 x 1280 pixels. With 282 pixel per inch density, details on the screen should come out but don’t expect magic in this department. Impressively, the screen stretches up to 75.7 % screen to body ratio, offering more screen than bezels. Behind the bezel-less screen is the Mediatek MT6739 chip with Quad-core processor and 64-bit CPU architecture. The 4-cores of processor reaches a disappointing speed of 1.3GHz with 28nm process technology for a smooth ride. Handling graphics is the PowerVR GE8100 graphics processor. Offering great value for money, it comes with 3GB RAM with a memory speed of 667MHz. To store up files and apps, 32GB storage space is available as well and upgradeable up to 128GB with a memory card. The Lava Z91 runs on Android 7.1 Nougat operating system. The 8MP selfie camera has f/2.2 aperture and face identification technology (Face ID). The feature allows you to unlock the phone with a look, according to the company. There’s a front LED flash as well, which can be used to unlock the device at night. The 13MP rear camera has f/2.0 aperture, 1.12 µm pixel size and LED flash capturing quality photographs. Features on the rear camera includes autofocus, Geo-tagging, touch focus, face detection and others. Record high definition videos of 1080 pixels at 30 frames per second. Powering the Lava Z91 is a 3000mAh Non-removable Li-Po battery with no fast charging technology. Even without the fast charging feature, it shouldn’t take more than 2.5 hours to fully charge up the battery from 0% to 100%. The Lava Z91 is available on Shopping stores starting from $159 (N45,000) to $199 (N65,000). Click on the links above to view the latest Lava Z91 price & availability on Shopping stores.